When my Juniors expressed interest in earning the Geocaching badge, I was stumped. I had experimented with Letterboxing in Brownies but hadn’t dived into its high-tech cousin. Fortunately one of my dads had discovered geocaching with his daughter over spring break. 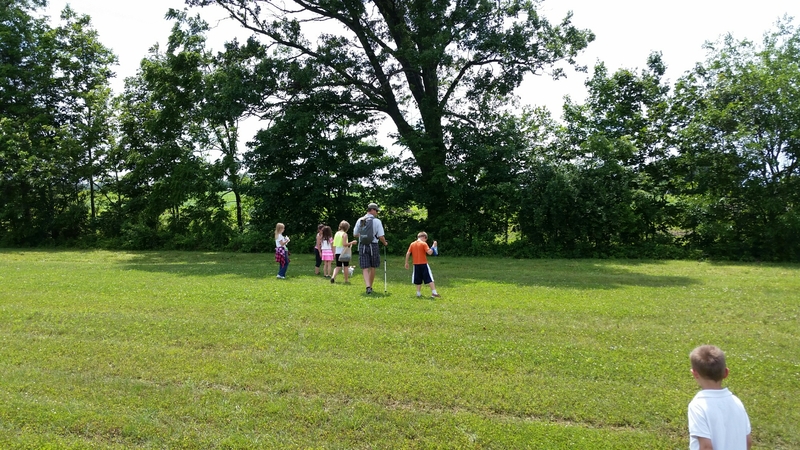 I remembered his excited text of “We nailed this Geocaching badge” when we were out of town, and it became a weekend hobby for him and his girls. He happily found us a local city park where several geocaches were hidden. If you are not fortunate enough to have someone to lead the badge, I truly recommend buying a copy of the Boy Scout Badgebook on Geocaching. It was truly worth it and gave you everything you need to know. Find travel bugs and other geocaching resources at my Amazon store. Proceeds help support my troop and this blog. This is a new badge since I was a girl scout or my boys were in scouts, but it sounds really neat and like it would interest a lot of people. I actually prefer Letterboxing to geocaching, as Letterboxing is more of a puzzle vs finding coordinates. But my cub scout and my Juniors loved it!